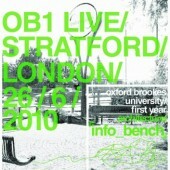 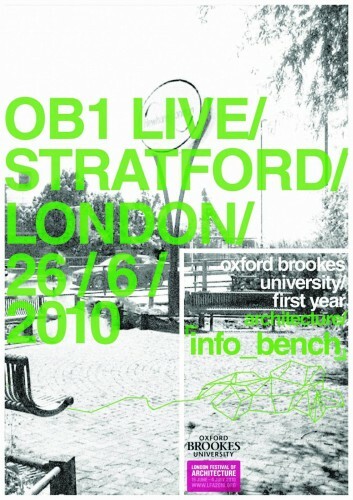 OB1 LIVE 06 participants designed and brought a prototype INFO_BENCH, made of recycled materials sourced locally to Oxford and Stratford for the International Student Architecture Festival 2010. 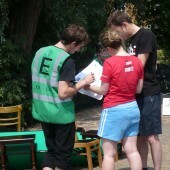 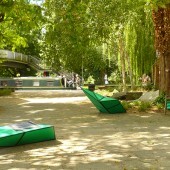 Along with other particpants from other universities, students sited the INFO_BENCH in a public space chosen for the parity of context with Mount Place in Oxford – local housing, canal and common under-used public realm. 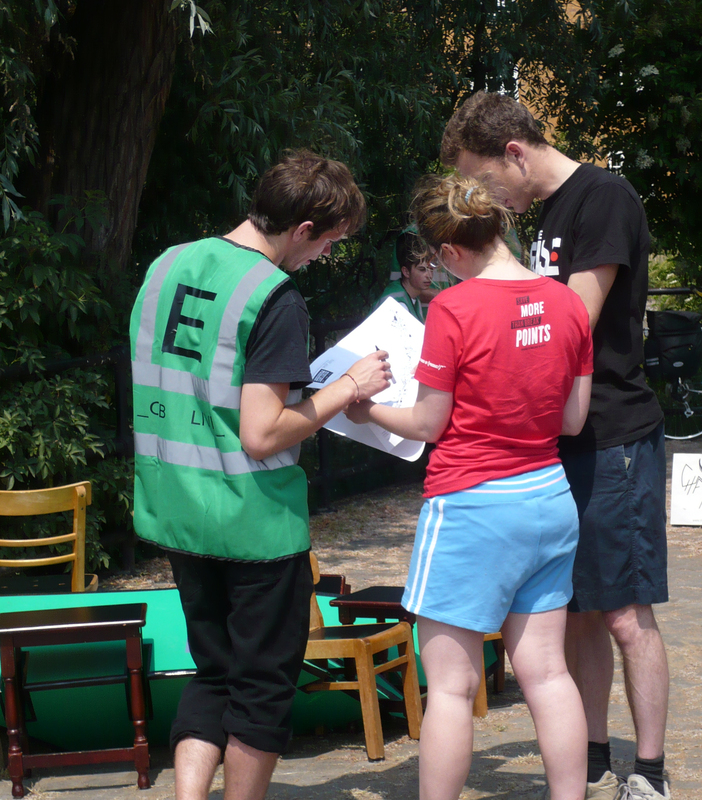 For day one in Mount Place, a ‘Have Your Say’ salon for the local community. 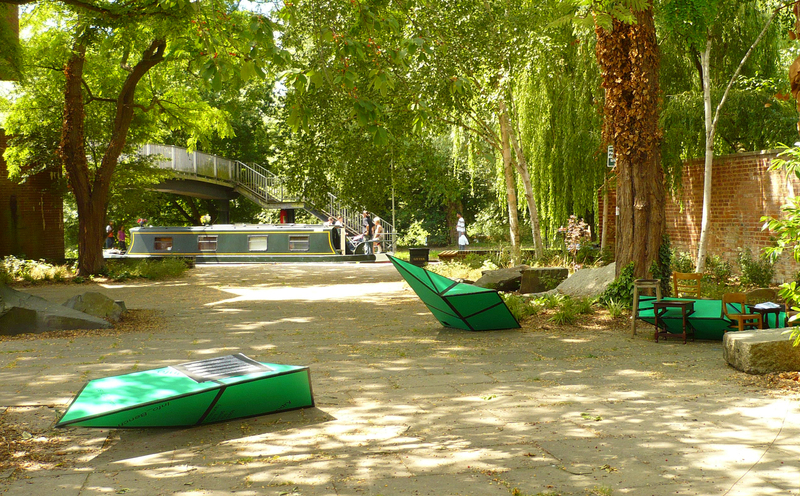 On day two, the bench activated the space with a participatory function – from being a photo-op to a place to have lunch to a stop off point along the fragmented Greenway.